"I am completely responsible for what I said." 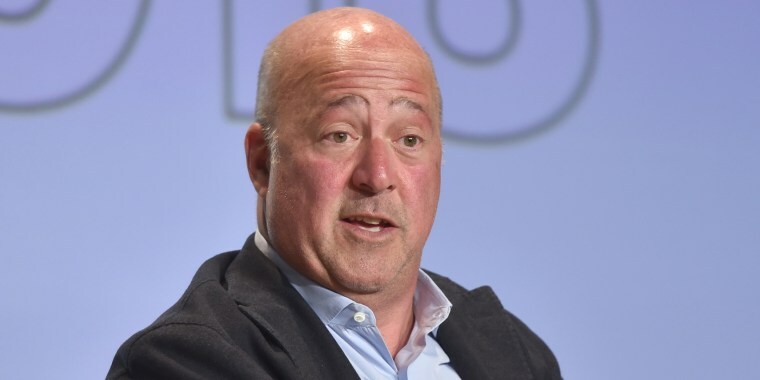 Chef and TV personality Andrew Zimmern has introduced Americans to many different foods from around the world on his long-running show "Bizarre Foods," which premiered in 2006. But on Nov. 20, the celebrity chef offended people in the food world (and beyond) with remarks about Chinese-American food and restaurants that were deemed by many as culturally insensitive. On Monday, the chef posted a lengthy apology in response to the statements that he originally made during an interview with Fast Company. In the interview, Zimmern discussed the opening of the first location of his fast casual Asian restaurant, Lucky Cricket, in Minneapolis, Minnesota. One of the first things that many people found offensive was when Zimmern claimed that he decided to open the restaurant to "introduce" people in the Midwest to hot chili oil, hand-cut noodles and "real" roast duck. Critics who took issue with this statement noted that there are many superb restaurants in large Chinese-American communities across the country that have been serving all of these foods for many years. For example, Eater's restaurant editor Hilary Dixter wrote that Zimmern seemed to ignore "the culinary output of the Hmong community in and around the Twin Cities — which Zimmern himself has highlighted before." Later in the interview, Zimmern also criticized the Chinese-American restaurant chain P.F. Chang's. The chain was founded by Philip Chiang, the son of noted Chinese-American chef Cecilia Chang. In the interview, Zimmern said, "I mean, was P.F. Chang's not a ripoff because Cecilia Chiang's kid owned it? Because, despite how he looks on the outside, he's a rich, American kid on the inside, right?" But one of the most widely criticized comments occurred when Zimmern used profanity to describe certain Chinese-American restaurants that already exist in the region: "I think I'm saving the souls of all the people from having to dine at these horses--- restaurants masquerading as Chinese food that are in the Midwest." Six days after being called out for his offensive comments by Eater, other media outlets and many people on social media, Zimmern issued a lengthy apology on Facebook. "I am completely responsible for what I said and I want to apologize to anyone who was offended or hurt by those sound bites," Zimmern wrote. "Food should be for everyone, and yet culturally there is a terrible and centuries old history of white people profiting off of other cultures, in food, music, and elsewhere. The upset that is felt in the Chinese American community is reasonable, legitimate and understandable, and I regret that I have been the one to cause it. That is the very last thing I would ever want to do. And in this case neither intentions nor context matter. Feelings matter." The full apology was posted to his official page. Several fans have since rushed to the star's defense on social media, with some saying that they hope the chef will open a Lucky Cricket in their city. I've eaten at PF Changs. Andrew Zimmern ain't wrong. @andrewzimmern Do you have any possible plans to open Lucky Cricket in Philadelphia or the suburbs of Philly? My wife and I would love to try it! TODAY Food reached out to Zimmern for further comment and a spokesperson for the chef said that there there is no "additional statement other than what has been posted on Facebook." Zimmern says he is planning to open 200 locations of Lucky Cricket in the future and appears determined to bring his food to those who have never tasted Chinese food that exists beyond "airport fast food kiosks and malls." "For those folks," said the chef, "I hope to open their eyes to the greatness of Chinese and Chinese-American cuisines and the people who put it on the plate." Love P.F. Chang's lettuce cups? Make them right at home!